Ever wondered why there are so many second-hand clothes in Africa? In Uganda, second-hand clothes account for 81 per cent of all clotheswear purchases. Imported clothes are so often cheap that the factories and tailors can’t compete. But leather and textile industries help create jobs and build up manufacturing hubs. So countries like Burundi, Kenya, Rwanda, Tanzania, and Uganda have decided to take action. Their governments are planning to phase out imports of second-hand clothes and leather by 2019. 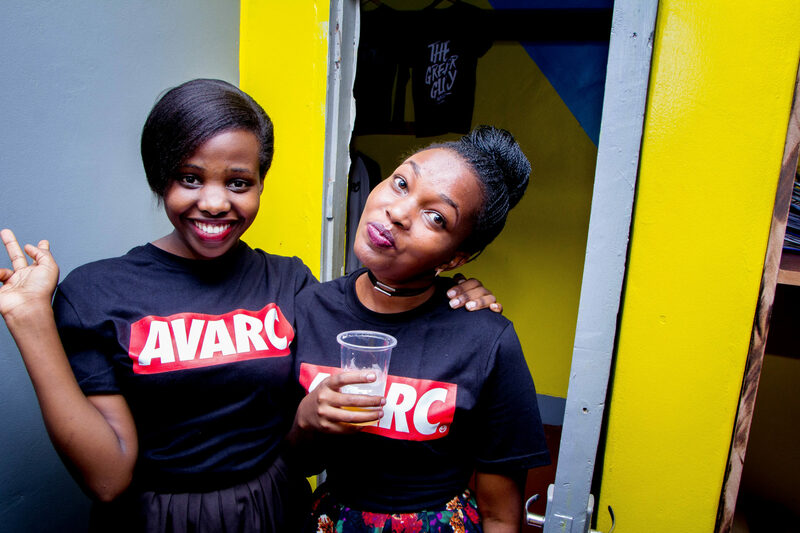 That’s what makes the launch of Ugandan fashion startups like Avarc Apparel so exciting. The team of young designers, creators, marketers and stylists wants to get more East Africans buying clothes made locally. Their lifestyle clothing brand, specialising in t-shirts and sweatshirts, was launched in September 2015. ‘Avarc Apparel was birthed as a result of the void of affordable, well-designed and high-quality apparel on the local market,’ explains Avarc Apparel CEO Amara Bill Kevin. The team, made up of seven 22 to 25-year-olds, has just moved to new offices in Kampala. 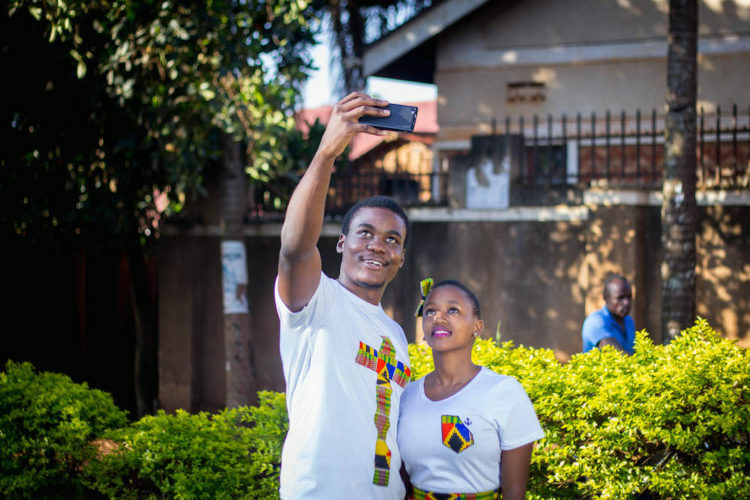 They import the textiles from Kenya and manufacture the t-shirts in Uganda, adding the prints and designs in their offices. 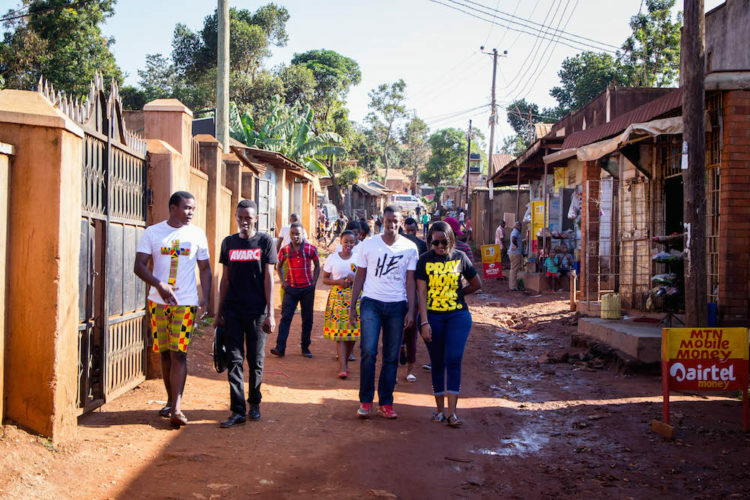 They shot their latest campaign in the streets of Kampala. Their new series of designs is called the ‘Bible lettering collection’. More than 90 per cent of their collections are Christian-inspired as that’s what appeals to the local market. Their Avarc Originals line includes slogans like ‘Be transformed’, ‘No Greater Love’ and ‘Know Jesus’. They don’t just do happy clappy; another collection features both African and international superheroes and the team is planning for a ‘college’ and ‘geek’ collection as well as more African-themed designs. You can’t buy their clothes online just yet, but place an order through their social channels. 'The impact with which the gospel can have on a person's life is tremendous. We want to spread the gospel in the most beautiful and creative ways. 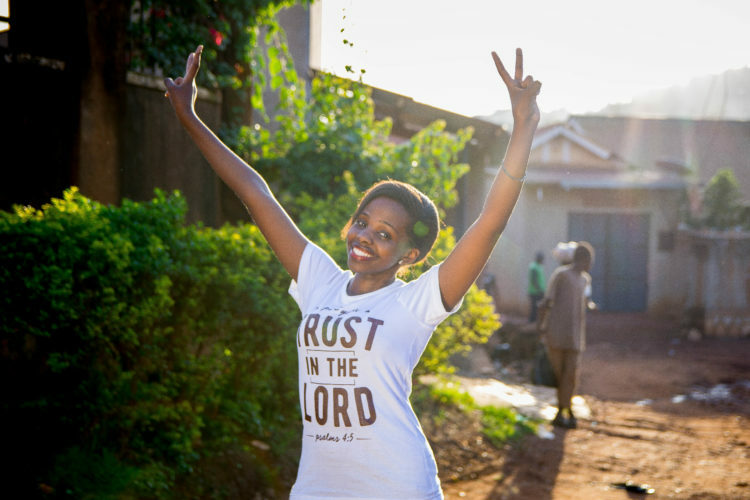 What we are doing is not just another t-shirt; it's inspiration; it's life,' says Amara Bill Kevin. The team is thinking big: ‘We intend on opening up several stores around East Africa, and reawakening a struggling own textile industry,’ Kevin says. And their designs seem to be in demand. 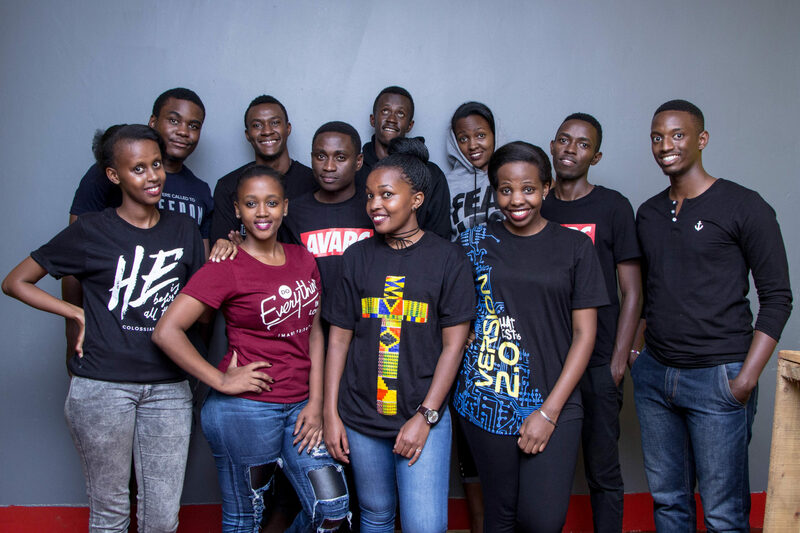 According to Daniel Mwesigwa, Avarc Apparel team member (and TRUE Africa writer), the brand has made and sold over 11,200 products in the last two years. 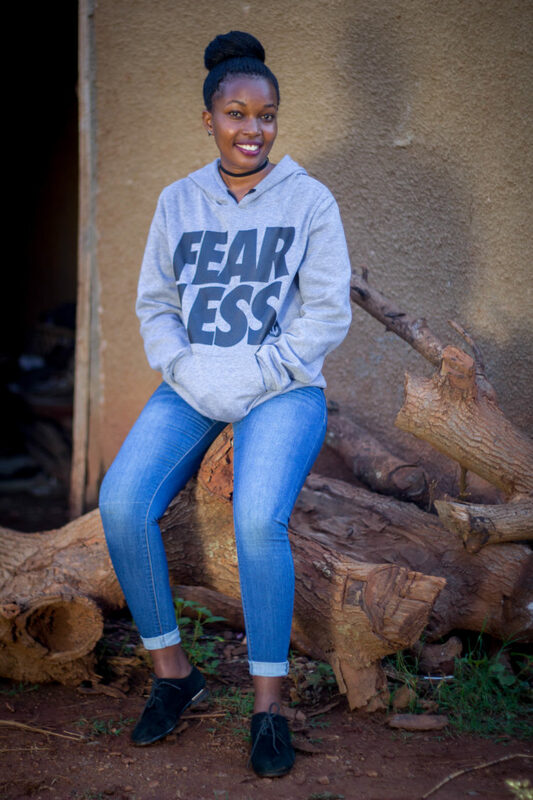 Avarc Apparel is just one of many growing African fashion businesses. The magazine the Economist reported that since 2009 east Africa’s clothing industry has more than doubled its exports. Cheap cotton in Africa, rising labour costs in Asia, better farming and transport links on the continent as well as favourable access to American and European markets, means that the African fashion industry will continue to grow. Sounds like local fashion really means local fashion. More New Designs dropping soon. How can you become the next fashion magnate? No one can do it better than you and certainly, no one can do it except you. We all bring a unique perspective even to the most mundane things. You’ll never have everything figured out at the first. Learn the foundations of that particular business. If you got it, waste no more time and start running. Nothing worth doing is done in a rush. It takes time to build something. Endure the process and making its learning opportunity. Whatever you do, leave no room for mediocrity. Push your best work out there. Do something someone would gladly hand over money for. Follow Avarc Apparel on Facebook. You’ll also find them at blog.avarc.co.